Large main compartment with easy access opening to all gear. Heavy-duty SKID chassis with easy glide wheels. 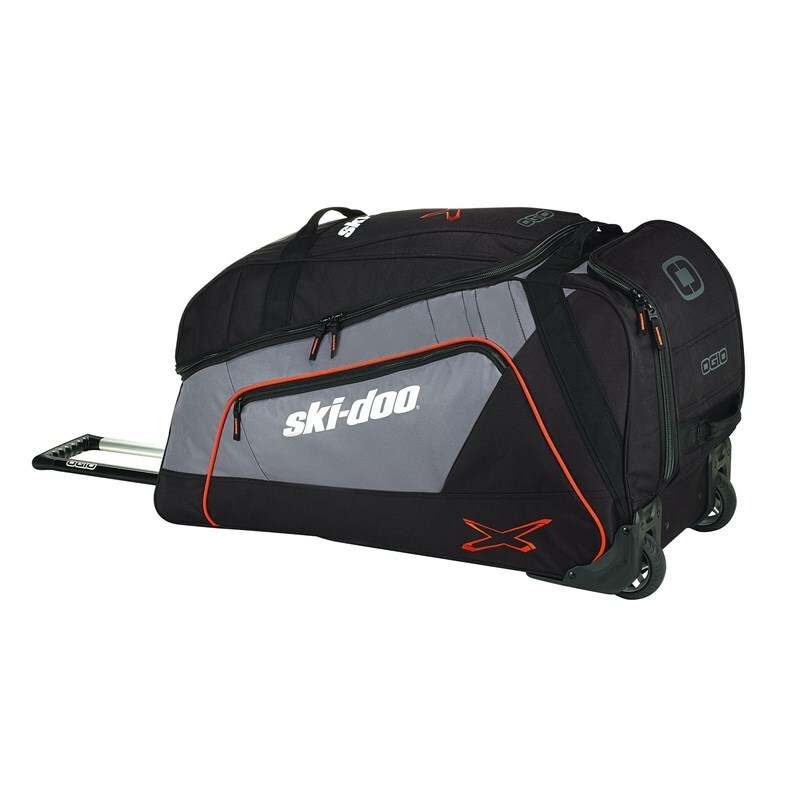 Ski-Doo X-Team and Ogio branded. 31.5" L x 16" W x 18" D (80 cm x 41 cm x 46 cm). Weight: 9.8 lbs (4.4 kg). 900 deniers polyester, Eco friendly PVC backin.